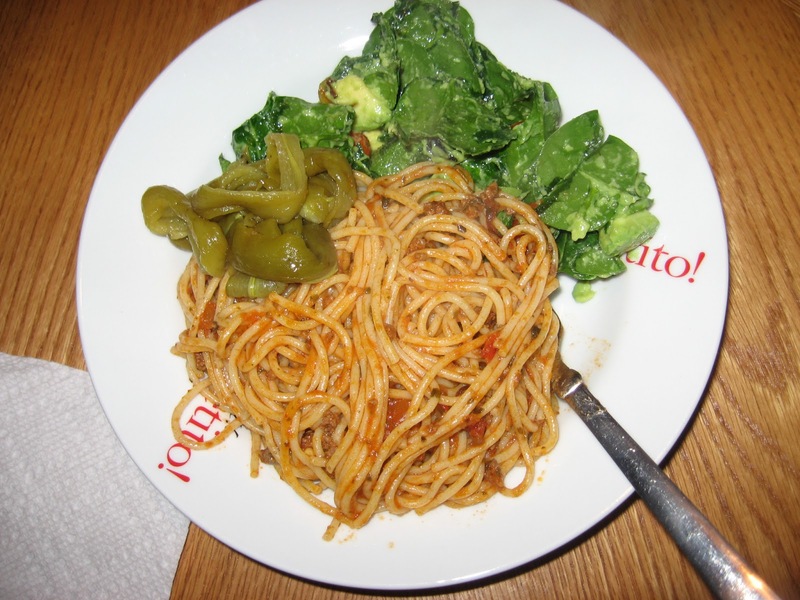 Whole Wheat Spaghetti with New Mexico Hatch Green Chile, Spinach and avocado salad dressed with sauteed onions in Olive oil. You are so welcome, that would be nice to have a sister or new cousin. That is very true, and I believe no one can have enough.They enrich us so much.